Amrit Hospital is a specialized Health Care Hub. The centre fosters a culture of Medical Care Excellence Offer low cost LASIK, offer the Highest Professional health Care especially Eye to our patients at affordable rates with highest patient satisfaction. 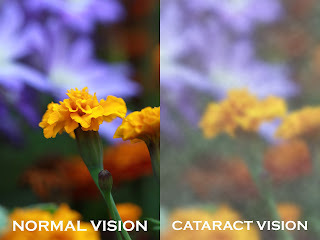 Cataract is the clouding of eye's lens due to the deposition of some proteins near to the lens. The lens of eye must be clear to get correct vision. Vision become cloudy and dim when eyes have cataract. It may have developed in one or both eyes. 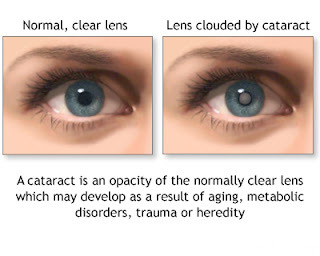 Cataract is one of the common causes of loss of vision. Cataract is happen during aging process. No medicine for the cataract, only the solution is cataract surgery. Need brighter light for reading, etc. Amrit Hospital provides Bladeless Cataract Surgery In Chennai. BladelessLaser Cataract Surgery with the LenSx femtosecond cataract laser has significantly improved the precision of several of the most critical steps that were traditionally performed manually.